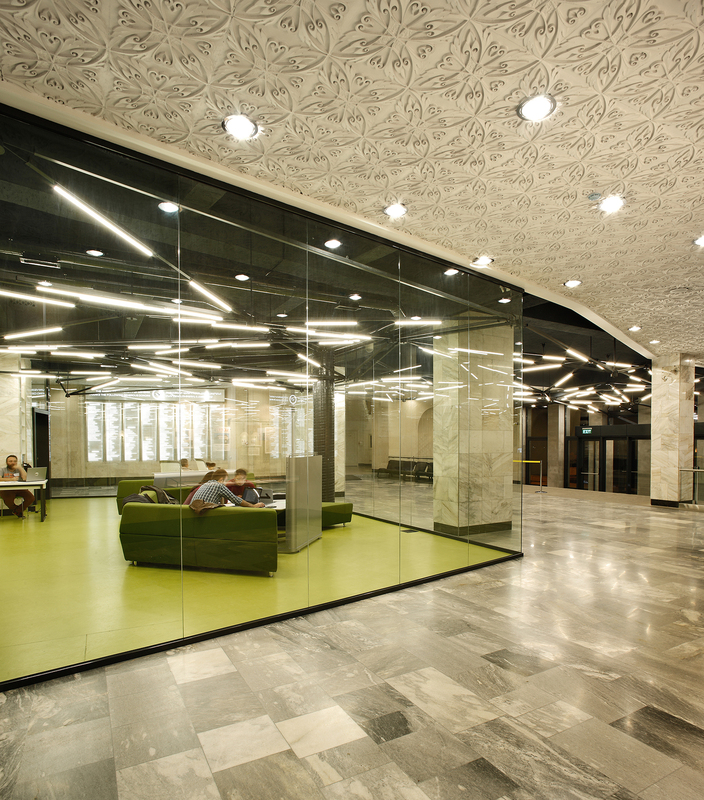 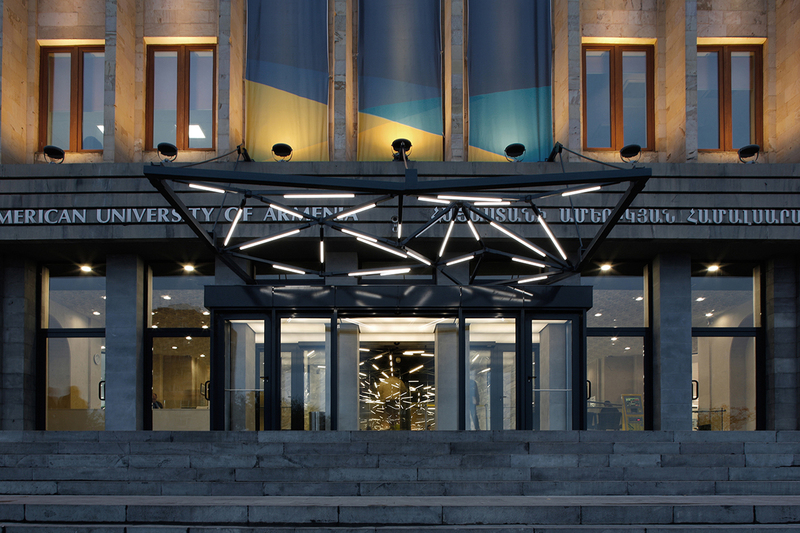 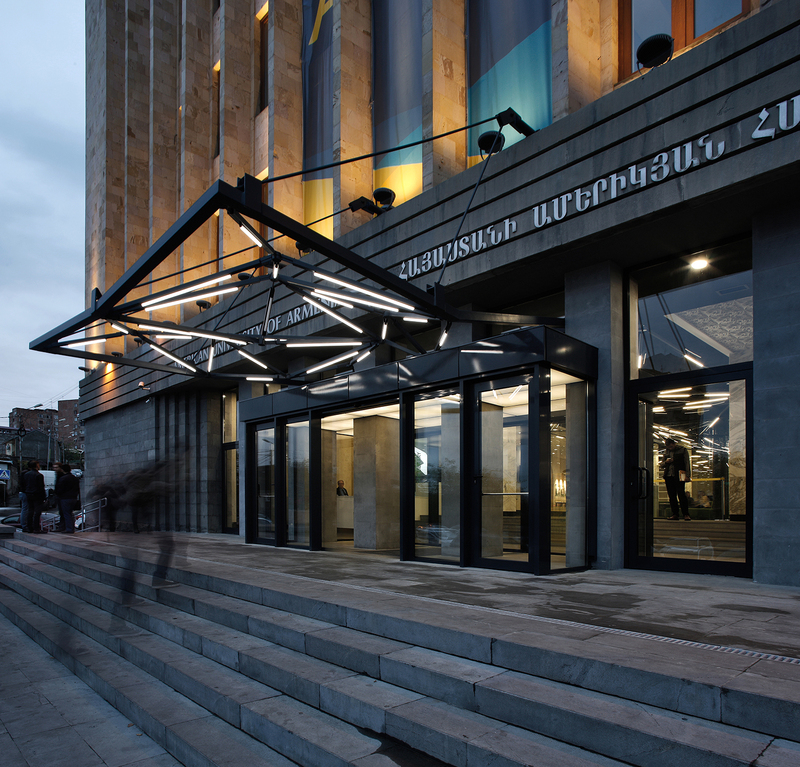 This renovation project serves as a testimony of the American University of Armenia’s culture of transparency, innovation, and academic commitment. 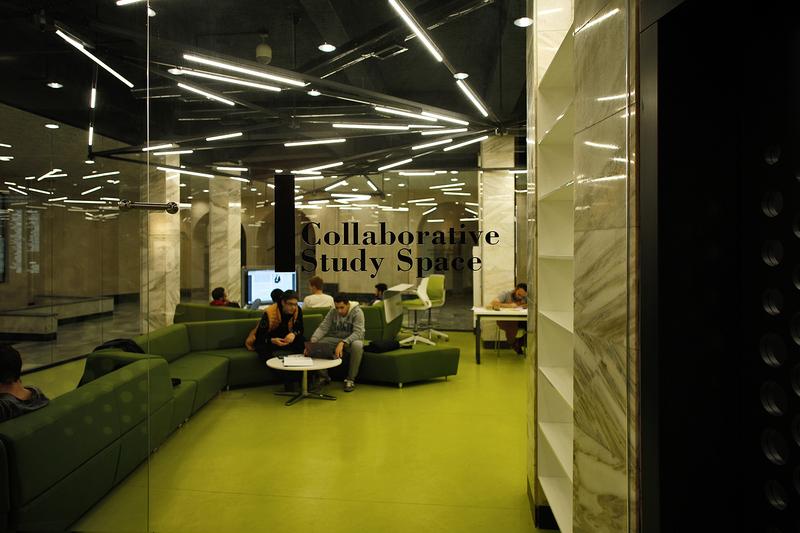 The openness of the interior design allows for collaborating, exchanging ideas, and encouraging the development of a dynamic campus culture. 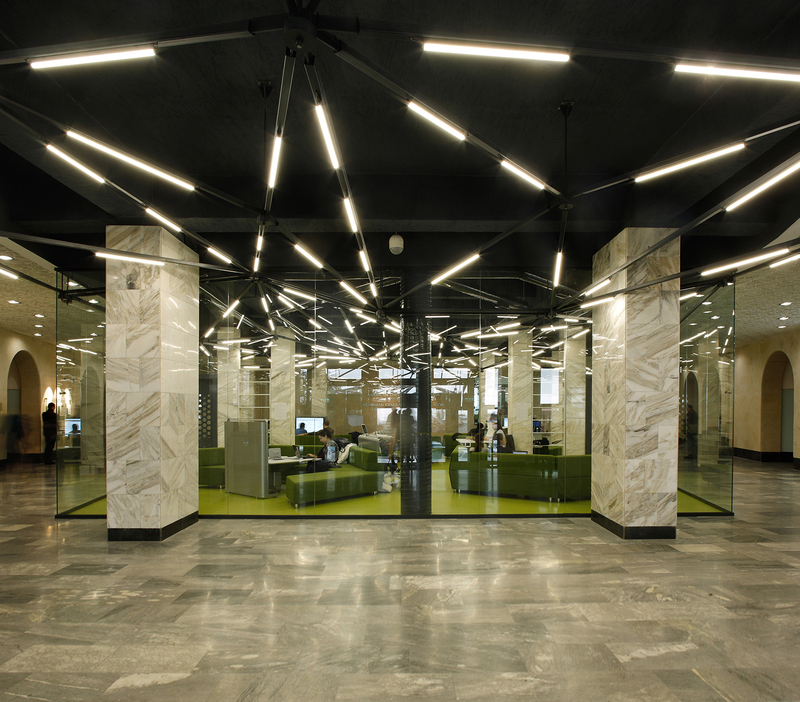 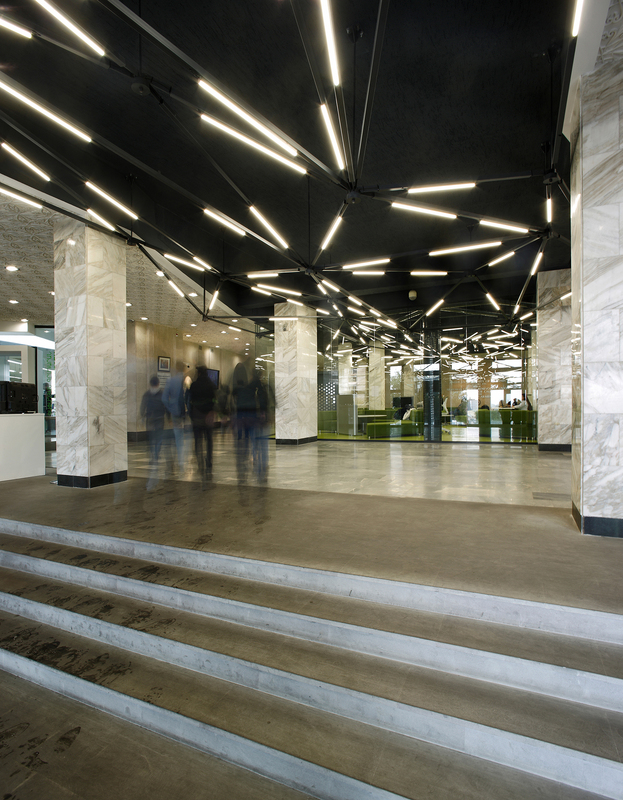 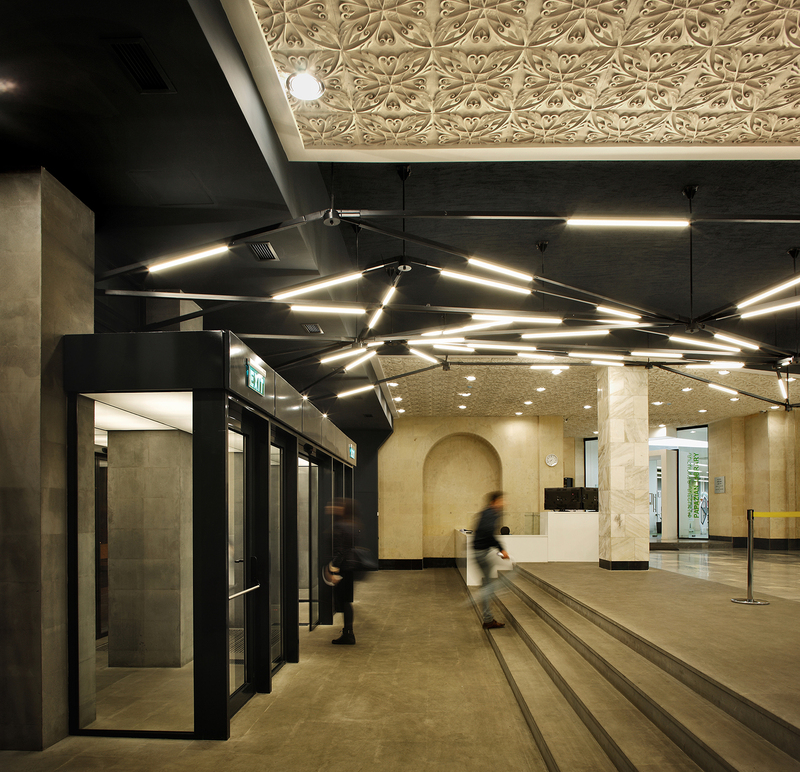 The interior blends the old soviet era architecture with new and modern design approaches. 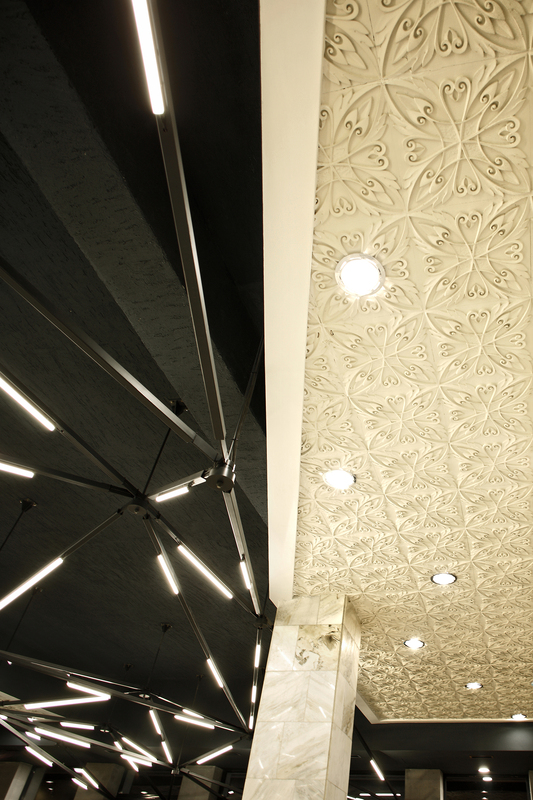 The two design styles are combined to create a unique design with the two approaches complementing each other. 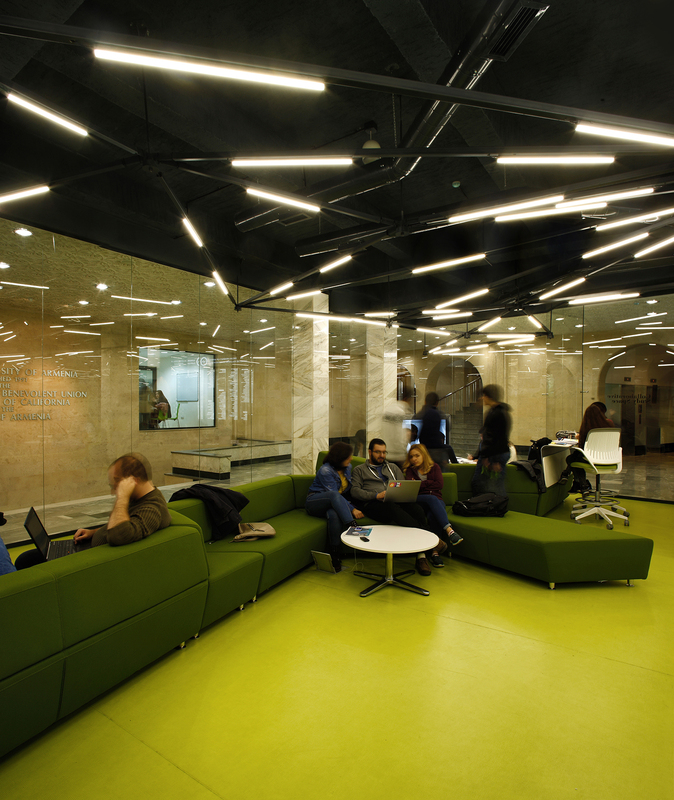 The renovation included designing a Collaborative Study Space, Test Center, Innovation Lab, Auditorium and the Working Area. 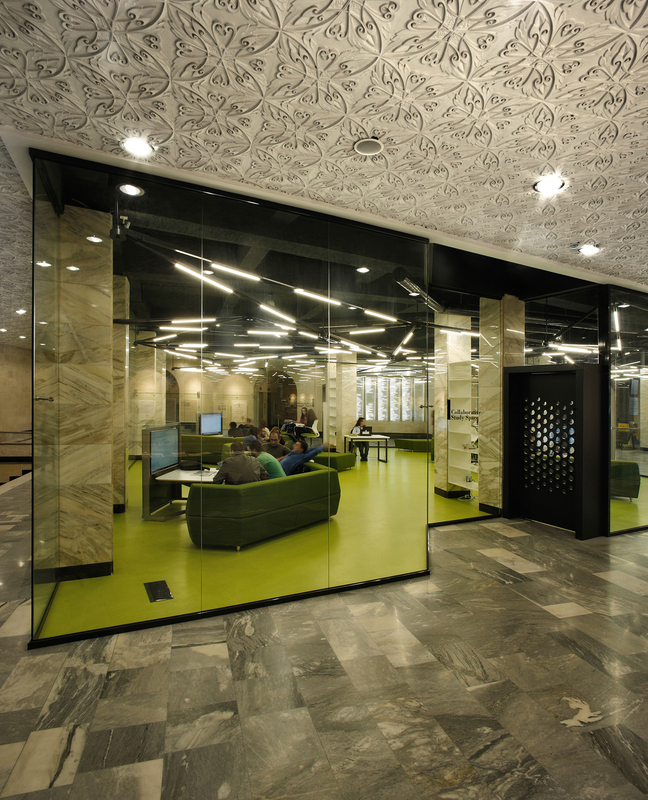 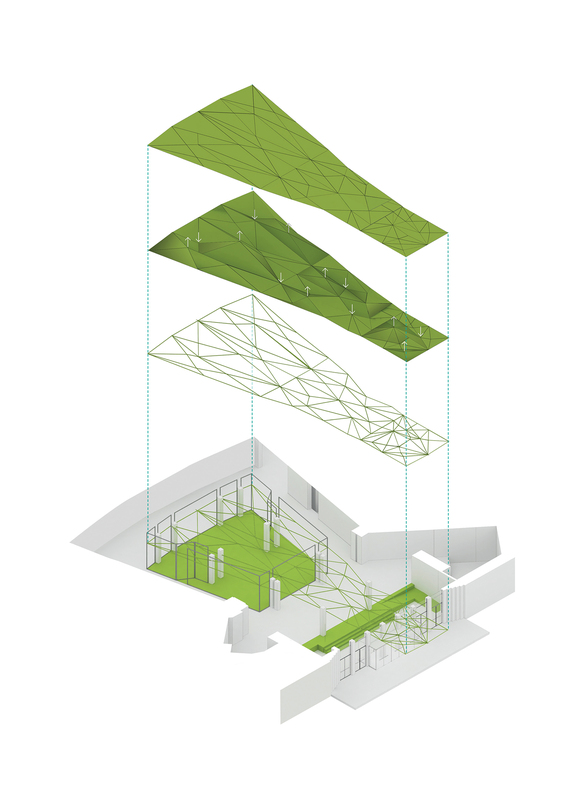 The goal for the testing area was to create a transformable space with folding partitions that would provide several possibilities of organizing different tests in either large or small spaces. 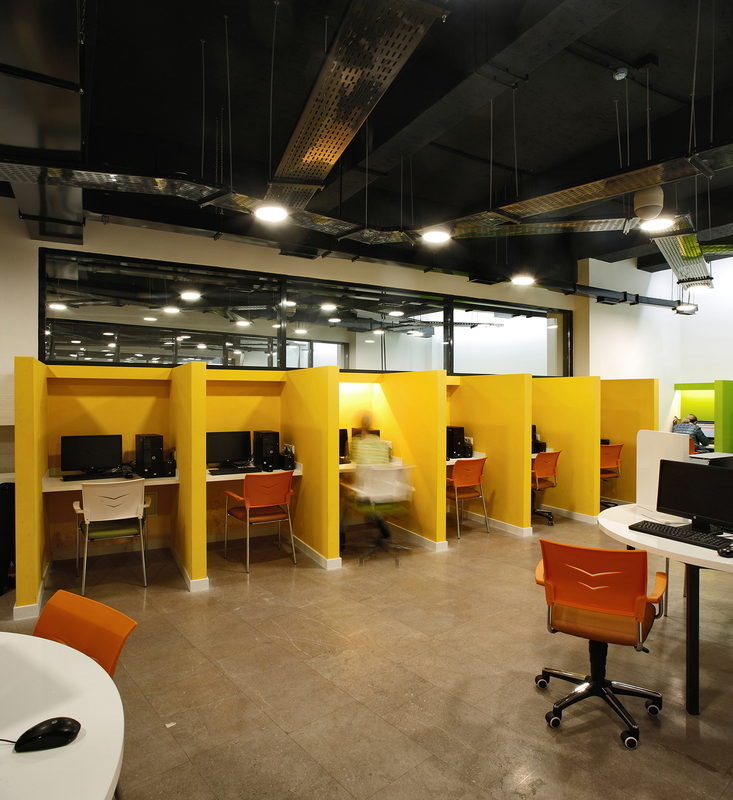 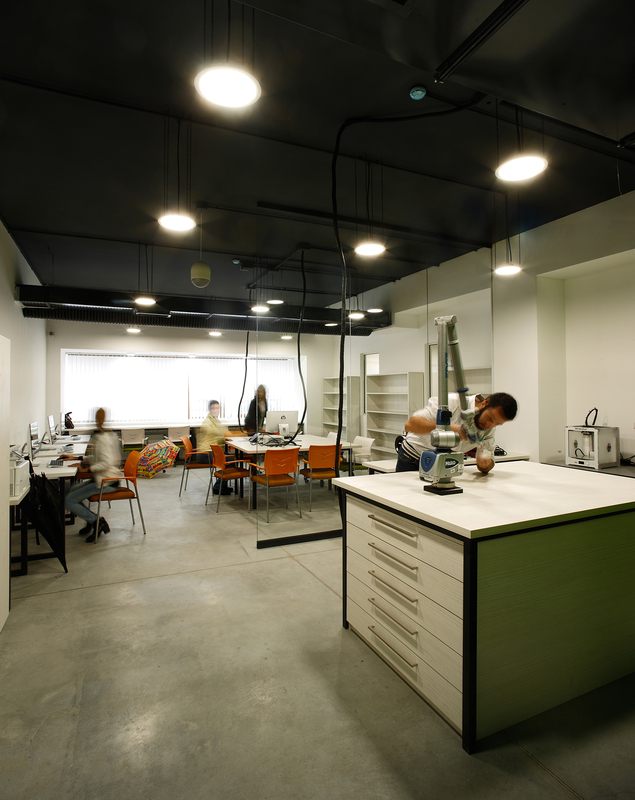 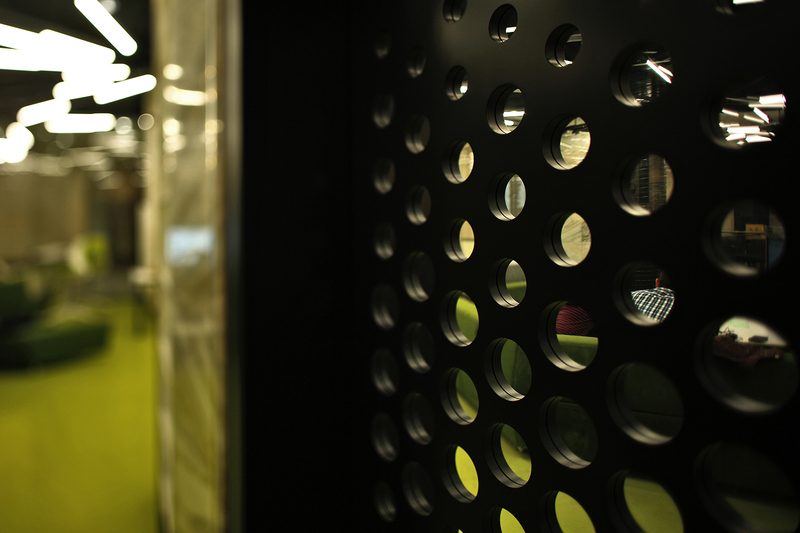 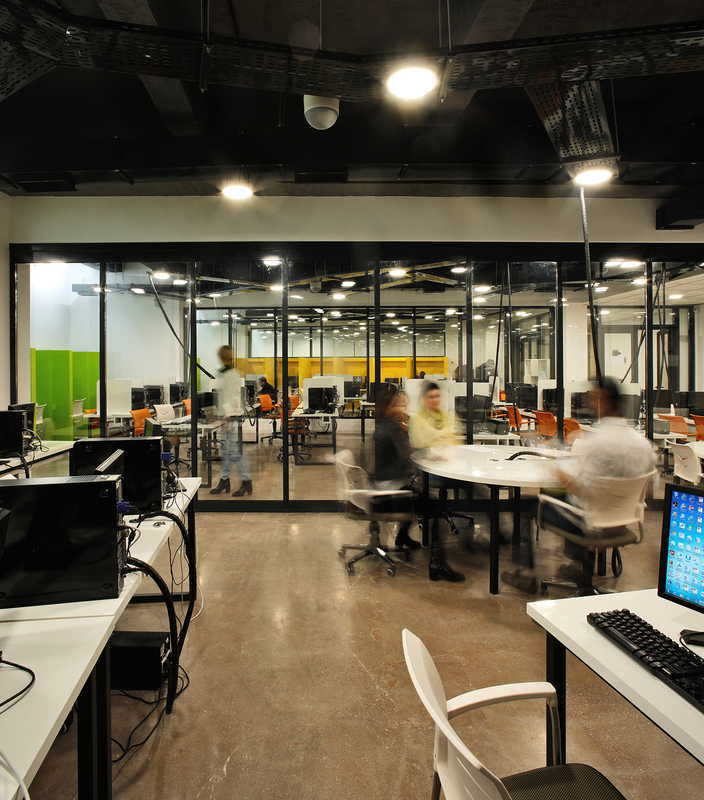 The Innovation Lab is a combination of two rooms, one dedicated to technical tests and the other for innovation, scientific meetings and discussions. 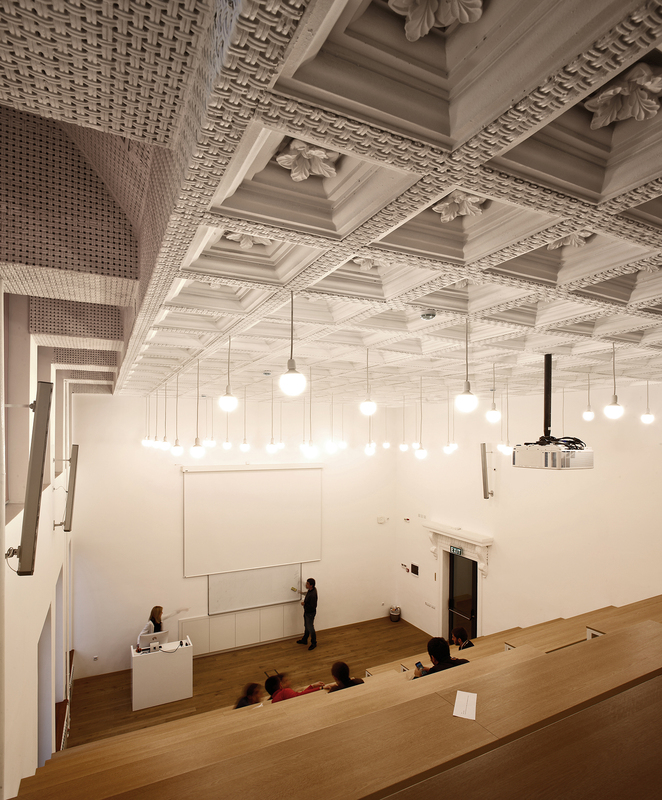 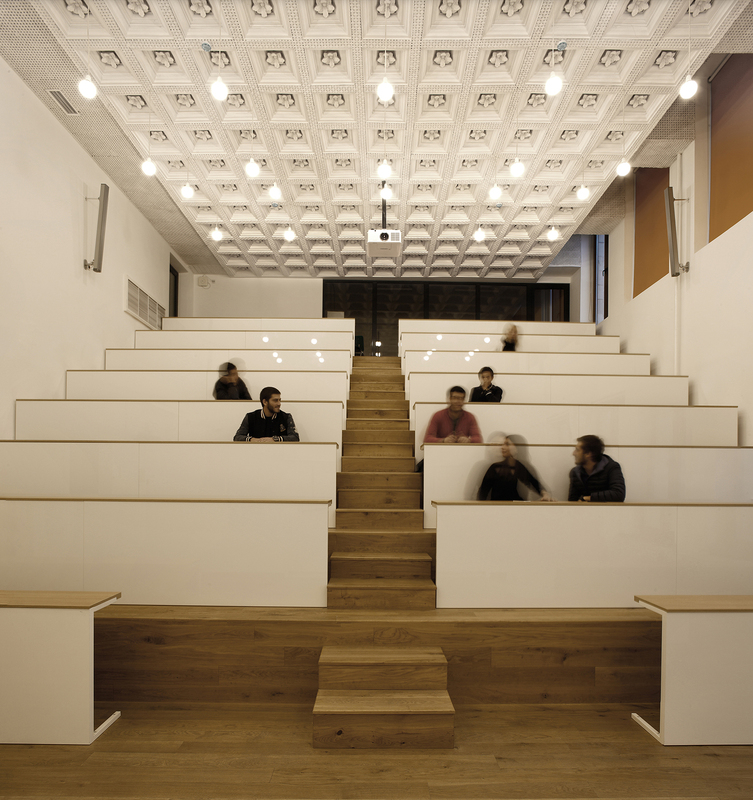 The Auditorium now serves as lecture hall with a semi-transparent back office and working area. 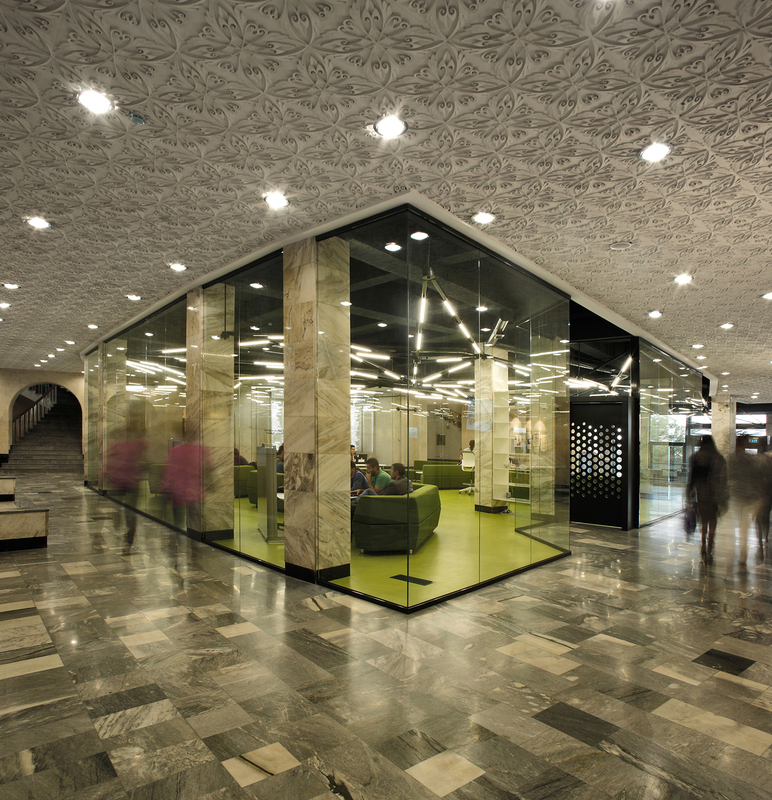 Based on the requirements, a second level was added to create additional space.